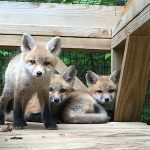 Wildlife rehabilitation centers provide intensive care to injured animals and creatures that have been abandoned while still too young to survive on their own. Whenever possible, the animals are returned to the wild. 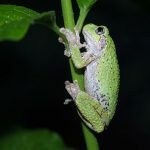 The temperate forests of central and southern Appalachia are home to thousands of species of plants and animals, many of which are found nowhere else on earth. 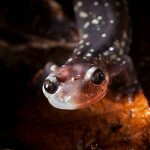 But climate change, pollution and loss of habitat are putting many of these creatures at risk of extinction. 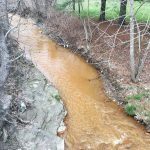 Our Appalachian Water Watch team was able to document the spill of acidic water on Pine Creek as it occurred in real-time, spurring public outcry and state action against the mining company. 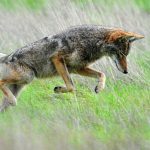 Coyote populations in the Appalachian region are growing, and increasingly they are adapting to urban settings. As a result, interactions with humans are becoming more common. 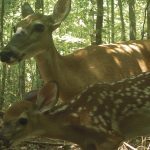 With bear populations rising, wildlife agencies are working to avoid any negative interactions with humans. A recent federal court ruling determined that the U.S. Environmental Protection Agency cannot regulate use of lead ammunition, which raises concerns over the effects of spent ammunition on raptors and other wildlife. 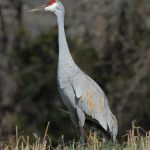 Each winter, thousands of redheaded, long-legged sandhill cranes descend upon the mud flats and grain fields along the banks of the Tennessee River at the Hiwassee Wildlife Refuge in Southeast Tennessee.